“My first experience with G Michael Salon was definitely a pleasant one! I left feeling welcomed and pampered! Being someone who doesn’t get my hair done much, I went in for quite a change. A hair cut (donating 17 inches), baby lights, bangs (which I haven’t had since elementary school) and a blowout. 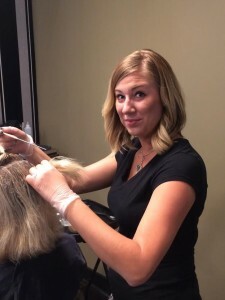 Thank you Dominique F. from Indianapolis, Indiana for taking to the time to write such an amazing salon review about your experience at G Michael Salon, we REALLY appreciate it!